Heat pump water heaters are a “green solution”, efficient and economical for the production of sanitary hot water. Simple and flexible to install, they represent a valid response to the users’ needs both in residential and commercial environment. 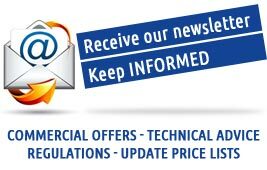 They can be combined with solar thermal or photovoltaic plants, as well as to other technologies for the thermal comfort like heaters, heat pumps and district heating networks. The electricity consumed by the product is only that necessary to make the fan and the compressor to work; the rest of the energy (about 2/3) is taken for free from the air! For utilities equipped with photovoltaic installation, the heat pump for the sanitary hot water production can be the cheapest and efficient solution to store the energy (thermal storage) by increasing the self-consumption. 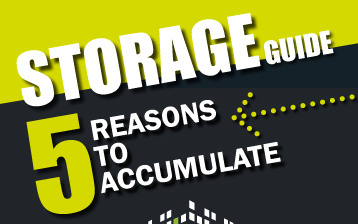 By using appropriate devices it is possible to enable the heat pump only when the power produced from the photovoltaic installation is enough to fuel it. 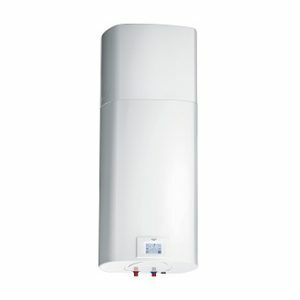 The heat pump water heaters Ariston NUOS EVO wall provide domestic hot water by a heat pump that heats a kettle, with a monobloc system. The heat pump mainly uses the outside air as a renewable energy source to achieve maximum energy efficiency and high energy savings. 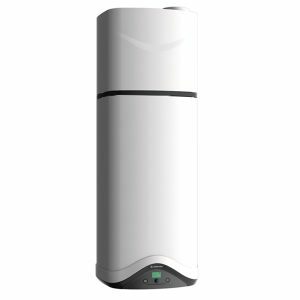 The heat pump water heaters Ariston NUOS FIRST standing provide domestic hot water by a heat pump that heats a kettle, with a monobloc system. 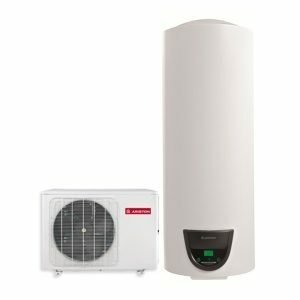 The heat pump water heaters Ariston NUOS PLUS standing provide domestic hot water by a heat pump that heats a kettle, with a monobloc system. 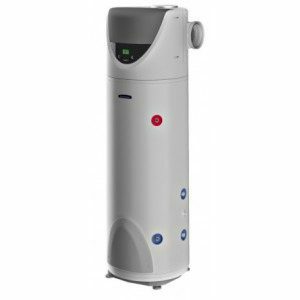 The heat pump water heaters Ariston NUOS SPLIT standing provide domestic hot water by a heat pump that heats a kettle, with a split type or with an external drive system. 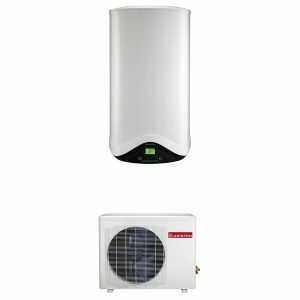 The heat pump water heaters Ariston NUOS SPLIT wall Provide domestic hot water by a heat pump heats That a kettle, with a split type or with an external drive system. Mainly the heat pump uses the outside air as a renewable energy source to Achieve maximum energy efficiency and high energy savings. 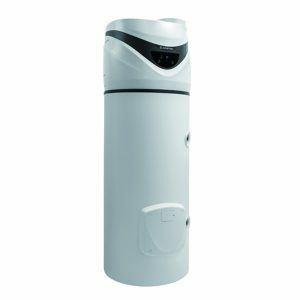 The heat pump water heaters Ariston NUOS standing provide domestic hot water by a heat pump that heats a kettle, with a monobloc system. 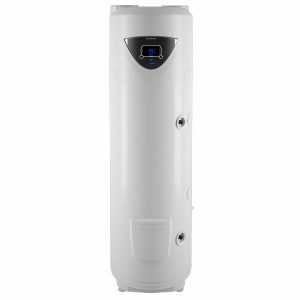 The type of water heater systems in the heat pump of the Panasonic AQUAREA DHW to stand are products for the production of sanitary hot water with high energy efficiency and performance. 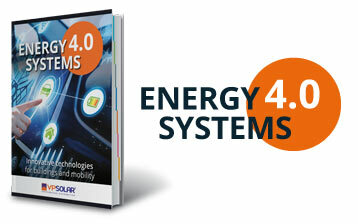 The heat pump is mounted on the kettle and mainly uses the outside air as a renewable energy source. 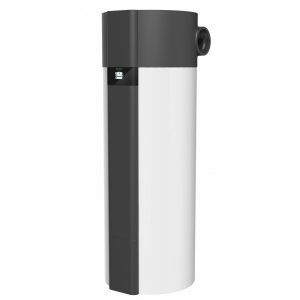 The water heater to heat the Panasonic AQUAREA DHW wall pump is a product for the production of sanitary hot water with high energy efficiency and performance.